The adoption of open source software is undoubtedly the discourse of the day in the technology industry. From the August launch of Zowe in 2018, the new open source framework on the mainframe, to the acquisition of RedHat by IBM recently, it's clear that big vendors are adjusting their business models, moving from offering only proprietary software to open source. This shift is fundamentally changing the technology industry as a whole. While there are many benefits of this, there are also challenges that the sector needs to be aware of - and avoid - if companies are to remain competitive during this change. Here are some of the key benefits and potential pitfalls that could surface with wider adoption of open source technology. A number of organisations have recently described open source as the ‘new norm', with widespread adoption coming at a time when customers and business alike are looking for fast, flexible and secure technologies. While much existing, proprietary software is developing - and has already been developed - to fit these customer demands, another way to achieve them is through using open source. However, open source is not the only game in town for commercial organisations. Software vendors still need to be profitable and so cannot give everything away. Industry leaders therefore generally contribute to open source but offer premium add-ons to companies such as additional functionality, earlier access to new features, or priority support. Open source software can simplify and speed up application development, deployment and operations. With the whole development world as a potential talent pool for a project, new features can be developed faster, and any issues/bugs identified and resolved sooner. This can also help with security concerns; vulnerabilities can sometimes be spotted faster, with more people working on the code - and even more viewing it. The advancement of open source is also democratising the tech industry. The collaborative nature of this kind of development means that new companies are forming around well-known open source technologies, opening the industry up to smaller start-ups. These newer companies often focus heavily on growing the community and working to make software better. Not only this, but bigger companies have had to operate by this principle as well, being obliged to publish code that allows smaller organisations to integrate more easily with their services. This leads to a win for everyone, including the big software vendors, the small technology start-ups, and the end-users and customers. For vendors, there are potential risks that come with selling products which include some open source. First of all, companies in certain industries - particularly auto/aero and ship building, as well as the public or financial services sector - often choose not to work with a vendor that uses some types of open source in its products, such as those developed by less credible sources or in certain countries. While there are ways to mitigate these risks, it's not straightforward. That's why it's particularly important for software providers to ensure that all open source code is fully vetted, supported and fit for purpose, whether that's for use internally, or if they plan to use it in a product. 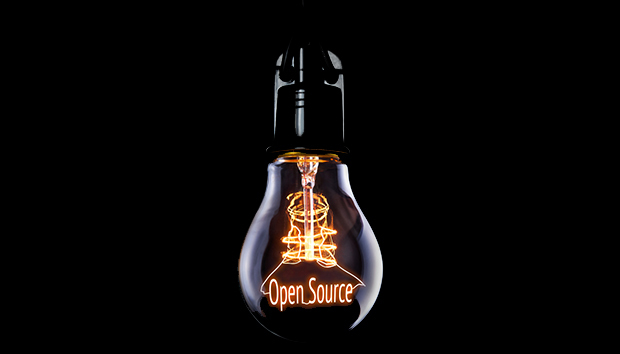 Open source is often issued under a "copyleft" licence - which offers other developers and companies the right to freely distribute edits of this code, as long as the same rights are offered later on in its development. This means that if you use any copyleft licenced code in a commercial product, your own software in that product may need to offer the same rights to other developers and users, making your code open source. With a more open and transparent technology landscape, faster innovation is inevitable. However, the technology industry must make sure that open source software is rolled out responsibly, ensuring that data is kept safe and secure. While there are evidently issues that need ironing out, moving towards open source software development creates significant opportunity, for the tech industry and beyond. George Smyth joined Rocket Software in 2005 and leads Rocket's R&D Lab in the UK. Smyth has more than 30 years IT experience, both in management and development positions. He started his IT career at IBM UK before moving to IBM Silicon Valley Lab in California, and now with Rocket as Senior Director, R&D.